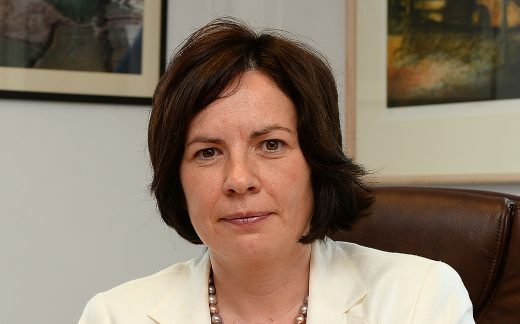 A native of Kerry, Moira Murrell was appointed Chief Executive of Kerry County Council in 2014. Prior to this, Moira Murrell served from 2010 to 2014 as Divisional Manager in Cork County Council with responsibility for Roads and Transportation, Water Services, Organisational Development and Economic Development and in the North Cork Division from 2007 to 2010 as a Director of Service for the West Cork Division including Town Manager in Skibbereen and Clonakilty. Moira Murrell worked with Kerry County Council from 1993 and was responsible for Budgetary Managerment and the introduction of the new Financial Management system to the Local Government Sector. During this period she was the assigned European Officer for Kerry County Council and studied in the EU over a three-month period. Moira Murrell completed her primary degree in the University of Limerick and completed her MA in Public Management while in the employment of Kerry County Council in 1996.